Dive Seychelles - Underwater Centre offers the best of facilities for diving and snorkelling around North Mahe with three fully equipped power catamarans which load directly from the beach in front of the dive centre. We offer boat diving trips morning and afternoon each day and, subject to weather conditions, one boat is dedicated to the longer range dive sites for experienced divers. 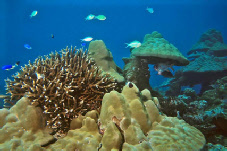 Snorkelling is available on many of the dive trips but dedicated snorkelling trips are also scheduled. The morning dives are generally deeper dives, while afternoon dives tend to be shallower and so more suitable for snorkelling. 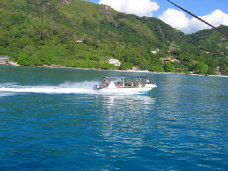 Visit our Dive Sites page for further information. For those who would like to learn to dive there are a number of diving courses available from one day scuba diving experiences right through to PADI's internationally recognised diving certifications. For already qualified divers we can provide the full range of PADI courses from Advanced Open Water right through to Instructor level. 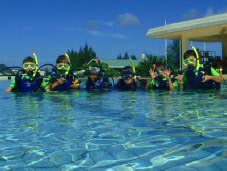 All learn to dive courses are available by arrangement 7 days a week. Our Courses pages have lots more information.